The announcement for the release of Ben 10 Alien Force: The Rise of Hex have been made today by Konami Digital Entertainment and Cartoon Network Enterprises. Ben 10 Alien Force: The Rise of Hex will be release in the first quarter of the 2010 for Xbox Live, Xbox 360, Microsoft supported entertainment system and Nintendo Wiimare. Best suited for the gamers of all ages, Ben 10 Alien Force: The Rise of Hex is action packed game title full of adventure with all new added characters and level. 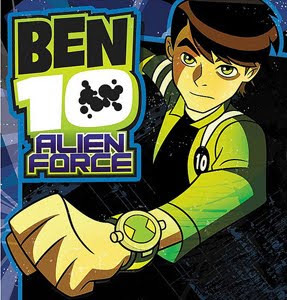 In Ben 10 Alien Force: The Rise of Hex, gamer plays the role of a Ben Tennyson, having the ability to get themselves transform into 10 different aliens. Each aliens has a unique features associated with them and gamers has to use them along its way to combat the threat against Earth. Ben 10 Alien Force: The Rise of Hex has 15 levels which gamers has to fight out to reach a final level where the save the Earth from getting destroy .